Spaghetti stir fried with red onions, tomatoes, red bell pepper, green onion, and cilantro. Served with our cilantro soup. 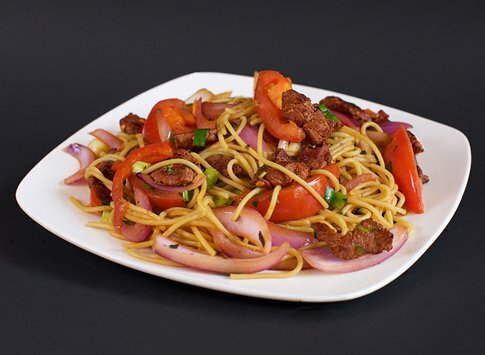 Spaghetti stir fried with lean beef, red onions, tomatoes, red bell pepper, green onion, and cilantro. Served with our cilantro soup. 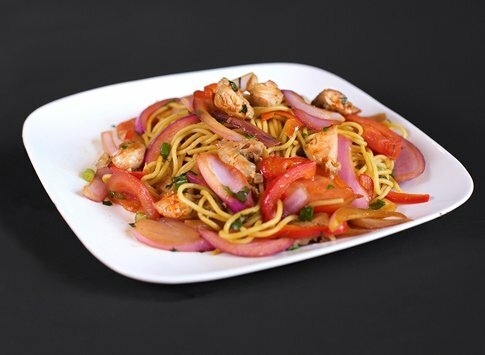 Spaghetti stir fried with chicken, red onions, tomatoes, red bell pepper, green onion, and cilantro. Served with our cilantro soup. 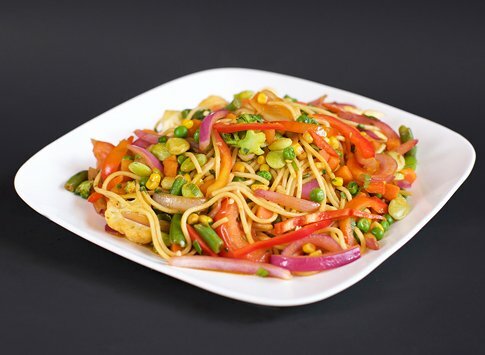 Spaghetti stir fried with mixed veggies, red onions, tomatoes, red bell pepper, green onion, and cilantro. Served with our cilantro soup.